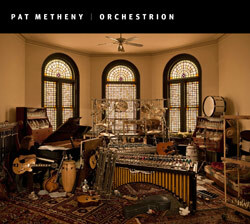 Pat Metheny's Orchestrion project is a new, open-ended platform for musical composition, improvisation and performance. It uses acoustic and acoustoelectric musical instruments that are mechanically controlled through a guitar, pen or keyboard. This creates a detailed compositional environment, which allows spontaneously developed improvisation. On top of layers of acoustic sound, Pat Metheny adds conventional electric guitar playing as an improvised component - a new level for solo performance by a single musician. Richard Garrett's Weathersongs project demonstrates how computers can be used to create music in addition to just edit it or play it. Weathersongs is music created, using a computer, from the ever-changing patterns of the weather as recorded by an electronic weather station. Douglas Rushkoff - Program or Be Programmed. Why literate, creative people in the 21st century need to know how to program. (Presented at SXSW 2010 - a conference on the convergence of original music, independent films, and emerging technologies). Also see excerpt from the book. Achieving the Unachievable - An inquiry into the mystery of the missing hole in M.C. Escher's "Print Gallery". Also see Escher's Print Gallery Explained (spoiler alert!). Impromptu is a Scheme language environment for music composition and real-time performance. Tape Op Magazine "Behind the Gear" Interview with Justin Frankel. Justin Frankel has always pushed the envelope of music and software. In 1997 he dropped out of college to release Winamp. He then started another company to develop a new DAW (Digital Audio Workstation) called Reaper. Interactive Mandelbrot Set - user interface allows to zoom in at different areas. jMusic is a programming library written for musicians. It is simple enough for newbie programmers but sophisticated enough to enable composers to accomplish real work, whatever form that may take. jMusic is designed to be used as a compositional medium, therefore it is primarily designed for musicians - not computer programmers. 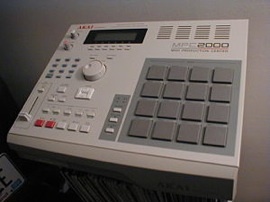 However, many people find jMusic useful for music software development, in particular for digital instrument making. Windows: Download Jython + jMusic bundle for Windows (34MB). Mac OS X: Download Jython + jMusic bundle for Mac OS X (14MB). Linux: Download Jython + jMusic bundle for Linux (45MB). Audio: sonOfBing.py, audioReadWrite.py, audioVisualize.py, audioDrums.py (samples for hihat, open hihat, kick, and snare), audioChangeFrequency.py (try with sample of a 440Hz sine wave). Documentation on jMusic, MIDI, and music notation. Processing is a free, open source environment for people who want to program images, animation, and interactions. It is used by students, artists, designers, researchers, and hobbyists for learning, prototyping, and production. It is created to serve as a software sketchbook and professional production tool. It is available for Mac OS X, Microsoft Windows, GNU/Linux. SoundCipher is used for creating music in Processing. MuseScore is a free, graphical WYSIWYG music score writer with support for score playback and import/export of MusicXML and standard MIDI files. Percussion notation is supported. It has a clean user interface, with fast note editing input (similar to the popular commercial packages, Finale and Sibelius). See How to create a lead sheet and share it online (4:55 min). Featuring Wikifonia, a website for musicians to publish and collaborate on lead sheets. Download JES 4.3 + jMusic for Windows (47MB), JES 4.3 + jMusic for Mac OSX (11MB), or JES 4.3 + jMusic for Linux (47MB). Reason emulates a rack of hardware synthesizers, samplers, signal processors, sequencers and mixers, all of which can be interconnected in arbitrary ways. 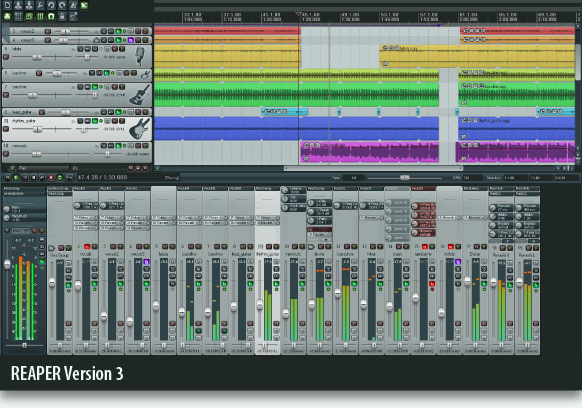 Reason can be used either as a complete virtual music studio, or as a collection of virtual instruments to be played live or used with other sequencing software. See intro to Reason 4 (also on YouTube, part1 and part2).